Nominations for the Basketball NSW Annual Awards are open to persons, teams, Associations, Conferences and Volunteers, which are involved at NSW and/or Conference and/or Association levels, or who represent New South Wales at Basketball Australia events. Please note, that only delegates from each association are permitted to nominate for the awards in order to streamline the nomination process. 2. Persons/teams 20 years of age or older are not eligible for Junior Awards. 1.11. George Thompson Memorial Award- Recognition Award for outstanding contribution to women’s basketball. Open criteria to recognise the outstanding efforts of an Individual and a team; and/ or association and/or organization’s to women’s basketball. 1.12. Dr John Rashke Award- This award acknowledges the outstanding achievements by an individual to develop the game of basketball. 1.13. Chairmans Award- This award recognizes the Association of the Year. The Staff of Basketball NSW who make contributions outside of their staff role can be considered for an award. 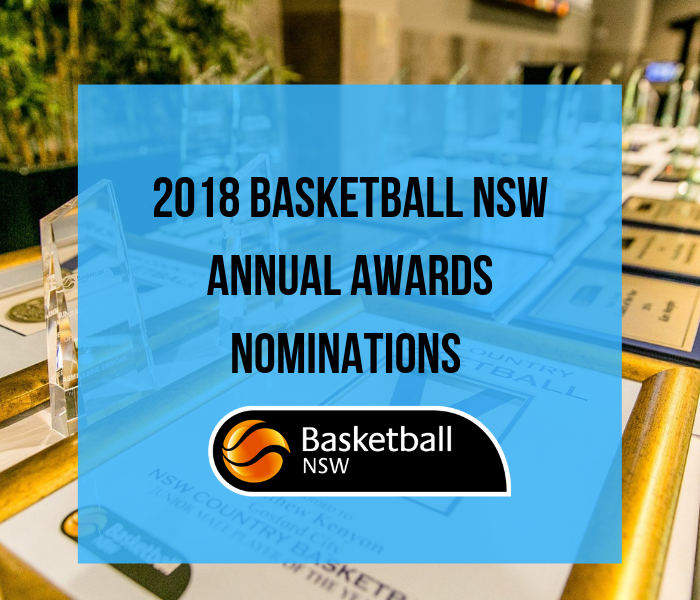 PLEASE discuss the Awards with your Board and Committee to ensure that your Association nominates the right person/team for the Basketball NSW Annual Awards. Nominations Close Monday 5th November, 2018, 5pm. The 2018 Basketball NSW Annual Awards Luncheon will be held on Sunday 18th November as part of the Sydney Kings/Sydney Uni Flames doubleheader at Qudos Bank Arena, 12.30 – 2pm.